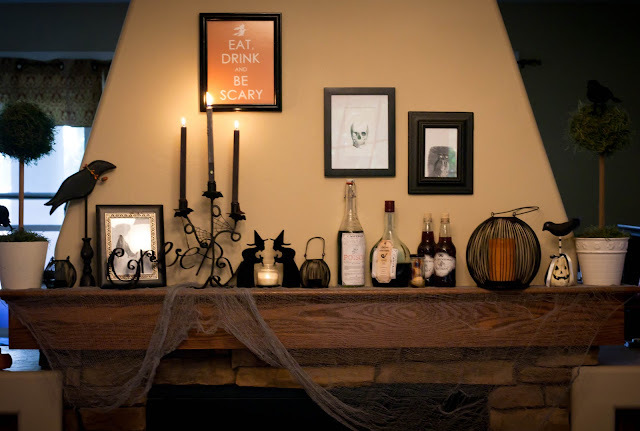 Uh….peeps…this Halloween Mantel Party is off the proverbial chain! Do people still say chain? Am I majorly dating myself here? I wanted to show you just a few, and I mean it, this is just a few of the designs that caught my eye. The Splendidly Imperfect Miss M.
If you haven’t linked up to the party yet, there is still time. Please do so! The party will be open into next week. 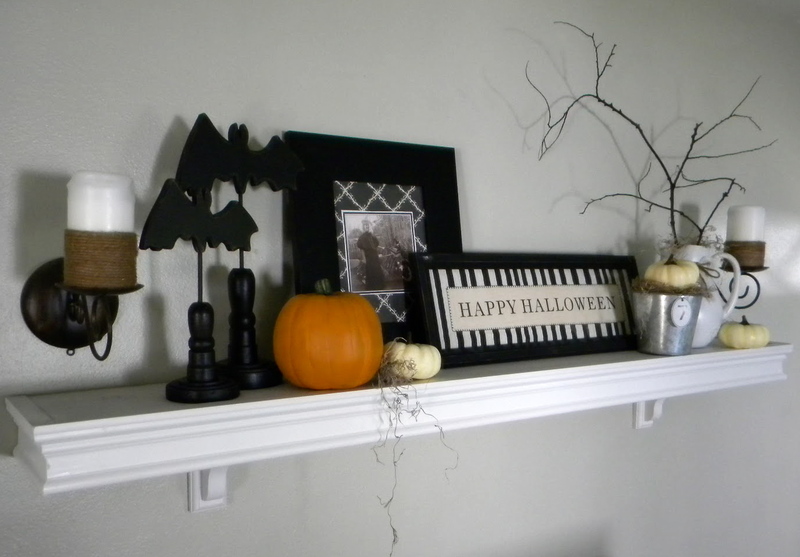 If you’re not featured above, it’s not because I didn’t love your mantel and/or decorations. 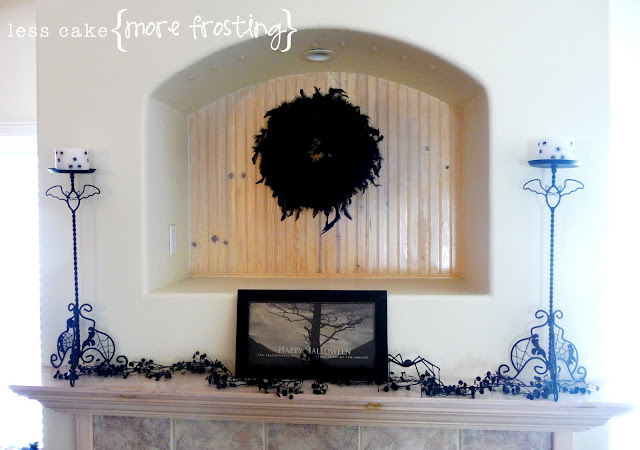 But I had to stop myself before everyone’s mantel made it into this post! If you haven’t visited people yet, I highly encourage you to do so! Who needs magazines for inspiration when there are bloggers? So impressed peeps. I stand in Halloween awe of you! Well I am a little late by a year! 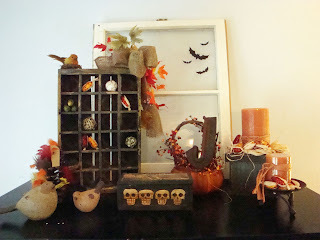 Thank you for hosting this and featuring my Halloween scape! These are all incrediable ideas! Muaahhhhhhh! Great ideas — thanks for putting them all together for us! 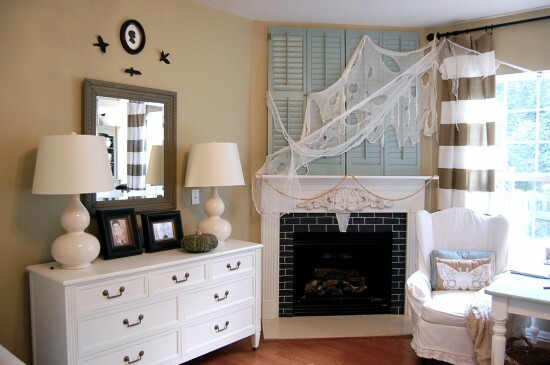 Wow — those mantles are all so fun! So much inspiration!! I love your mantle parties. Thanks for hosting Beth! Wow, These are all great! It would be hard to pick a favorite. I am always amazed at the creativity found on blogs. All impressive! I love halloween!! FABULOUS!!! 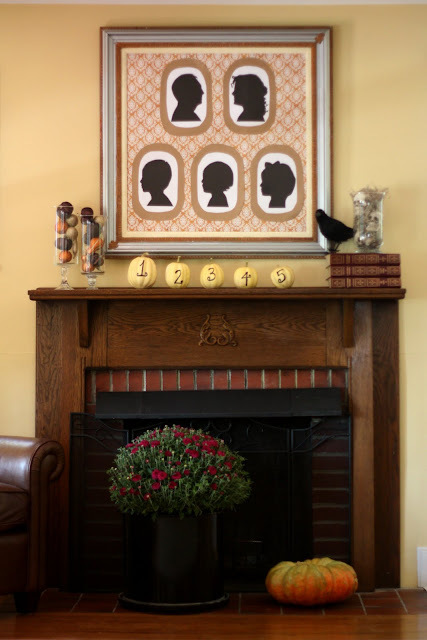 I can't wait to have a mantle again and enter. glee!! thank you so much for featuring my tablescape! i may not have a mantel or a shelf, but that's not gonna stop me from going all out for my favorite holiday. speaking of "off the chain," "neat" has re-entered my vocab. who even says that anymore? They are all so great but I really like the one with the ghost in the mirror. Such creative folks. Thank you SOOOO much for putting my mantel in with others that kind of blow it out of the water!! What a unique and awesome idea for a party! I am so honored to even enter a party with some of these women. 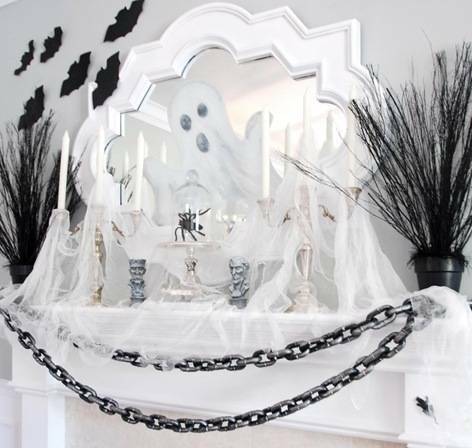 And to have the priveledge to see their decor without showing up on their door step…..which I think we can all agree….would border on weird!! Congratulations in the success of this party. It is brilliant….and SOOOO fun!! 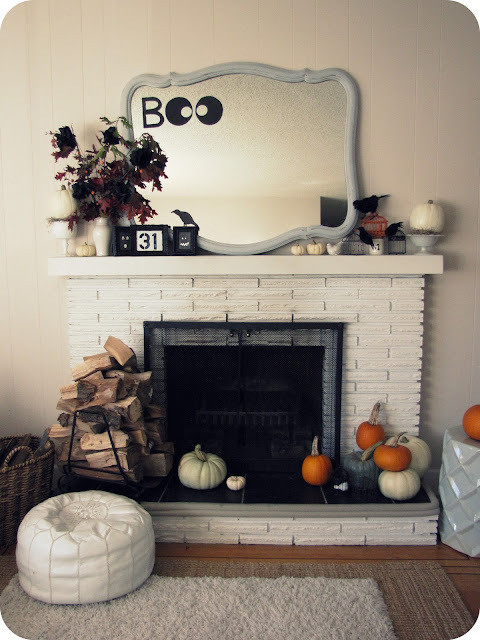 I am beyond excited that you featured my mantel. I JUST started blogging and love your blog. Thanks for making my week! I am in awe of all the talent on this page! Thanks Beth for the shout out. I agree with everyone else….who needs magazines. We are AWESOME!!!! 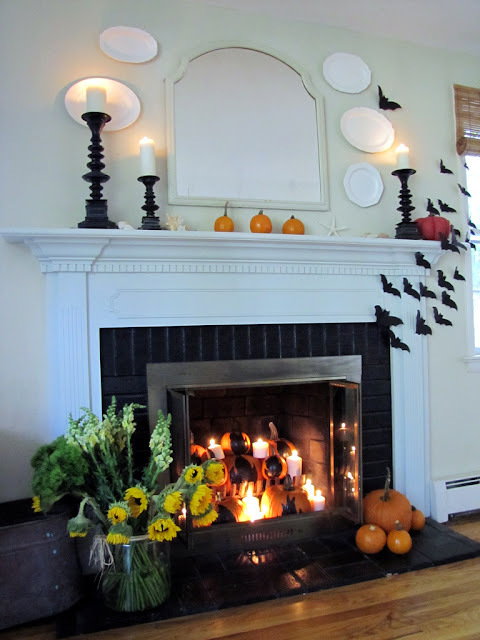 I mean seriously, who needs magazines when you should just throw all of us DIY decorators into a room with a bunch of spooky stuff and see what we create! Awesome party Beth!!! These are all so awesome! I just wished I had a mantle to do what you guys and gals did! BRAVO! thanks for the shout out! 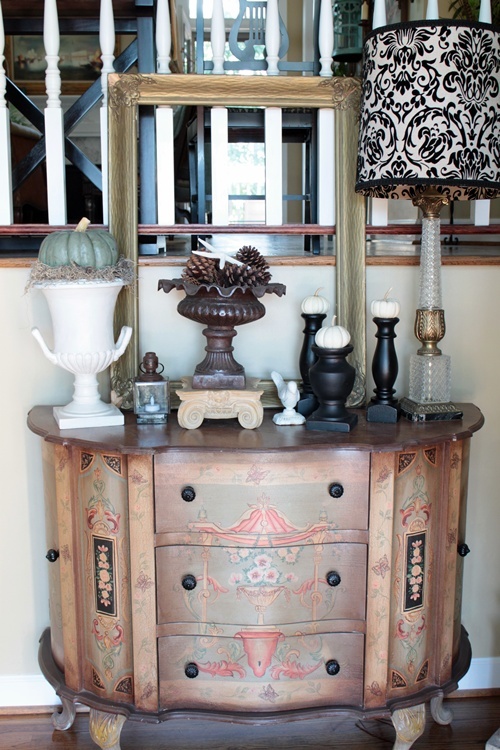 there are so many amazing mantels & decor out there right now. sometimes, i even nudge the husb to say "look at THIS"!!! you are so right – who needs magazines when we have bloggers! These are all so fun! 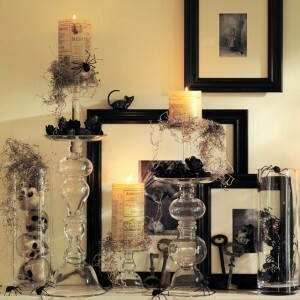 I love that Halloween doesn't have any other purpase than to just have fun and I love that the decor follows suit.